If you have struggled to find the perfect fake tan in the past, the Skinny Tan Wonder Serum is a hot contender for your #1 tan product of 2019. With anti-ageing properties and a lightweight serum feel, the Skinny Tan Wonder Serum has got your back this summer – literally. Me and fake usually just don’t go together. I lack co-ordination, i’m heavy handed and the most important quality needed – I lack patience! I just don’t have the time to be 100% sure I’ve got that white or invisible cream spread all over my pasty white body or waiting for that hideous green tinged guide colour to wash off so I can leave the house. 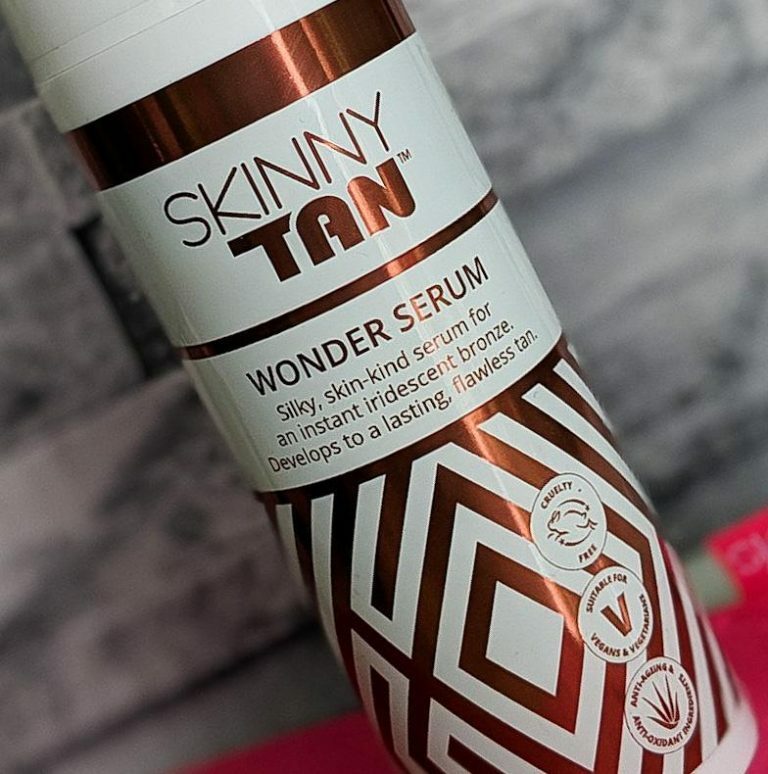 In comes the Skinny Tan Wonder Serum. From the moment you pump the tropical cocounut scented product you wan’t to cover your body in it. 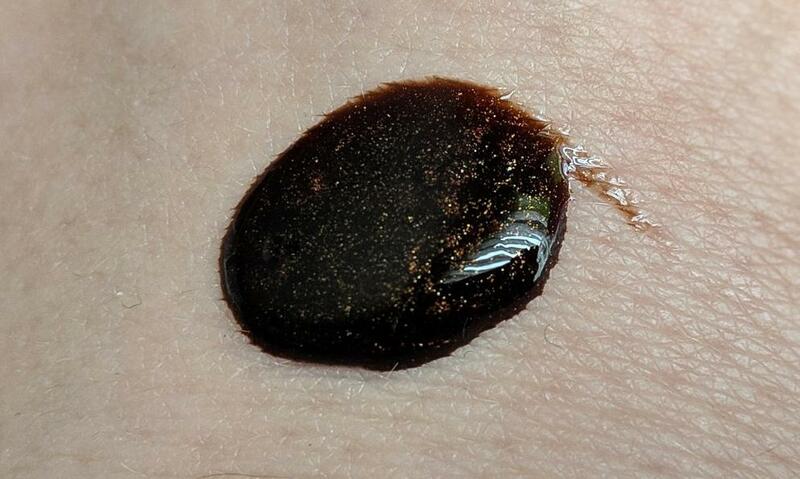 A deep rich brown colour with a golden iridescence to it, you are glowing from the minute you put it on. No fear of the dreaded weird guide colour! The ultra lightweight serum formula helps the Skinny Tan Wonder Serum spread quickly and easily which allows for a much quicker application. The serum texture doesn’t drag or pull at the skin and glides over any dry patches you might have. The guide colour does help you get all the easy to miss blending spots, I normally risk the wrath of orange hands and apply my tans with my hands as I feel I better control when rubbing in but the Skinny Tan Wonder Serum works perfectly with a velour mitt. It’s glides on and buffs beautifully. The serum texture of the tan allows you to go top to toe with your application and it doesn’t block or irritate facial skin. The guide colour and golden glow hides a multitude of sins and has you feeling ready to strut your stuff round a pool. You can really tell I’m in my final countdown to my holiday can’t you?! Whilst I can’t show you any anti ageing results yet, I have found my skin to be smoother and softer for longer after applying the tan and the results are a naturally glowing and good to go. 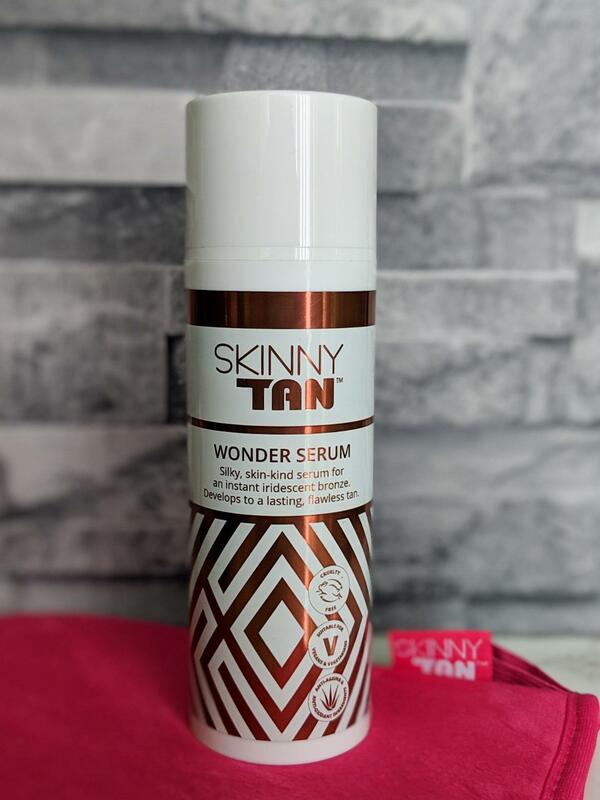 If a gorgeous glistening tan this summer is what you are looking for, Skinny Tan Wonder Serum is the one for you – it contains 95% naturally found ingredients as well being cruelty free and suitable for Vegans.